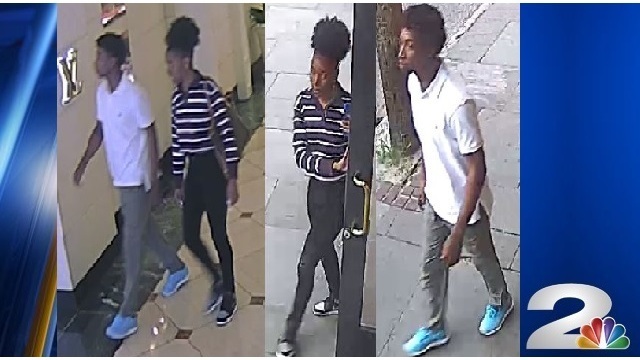 CHARLESTON, S.C. (WCBD) - The Charleston Police Department is asking for the public's assistance on locating individuals in reference to a shoplifting incident that occurred at Louis Vuitton on King Street. The press release stated that the incident occurred on April 13th between 6:11 p.m. and 6:44 p.m at Louis Vuitton. Public Information Officer Charles Francis stated that the suspects allegedly stole approximately $1,960.00 worth of merchandise consisting of a blue/black LV Pocket Organizer, Gold in color LV Bracelet, black/brown LV Belt, and a red/brown LV Belt. Authorities stated that the female suspect is possibly in her early 20’s, black hair pulled above her head, black and white striped long sleeve shirt, black pants, black shoes with white trim, carrying a brown purse with gold trim. The male suspect is possibly in his early 20’s, black hair, white polo style shirt, grayish pants, light blue shoes. Please contact Inv. Galster at (843) 579-6433 or galsterk@charleston-sc.gov with any information.